Annual tag-encounter and annual exploitation rates of Atlantic striped bass estimated from tag recoveries (1987-2001). Report to the ASMFC Striped Bass Stock Assessment Commitee, and Striped Bass Technical Committee. Welsh, S., R. Harris, B. Versak, D. Kahn, T. Baum,V. Vecchio, K. Hattala, and G. Nelson. 2002. ASMFC tag working group: summary of USFWS cooperative tagging program results. Submitted to the Technical and Stock Assessment Committees, Atlantic States Marine Fisheries Commission. Welsh, S.A. 2001. Annual tag-encounter and annual exploitation rates of Atlantic striped bass estimated from tag recoveries (1987 - 2000). Report to the ASMFC Striped Bass Tagging Committee, Striped Bass Stock Assessment Committee, and Striped Bass Technical Committee. 45 pp. Millard, M.J., S.A. Welsh, J. Skjeveland, J. Fletcher, J. Mohler, M. Hendrix, A. Kahnle, and K. Hattala. 2000. Mortality associated with catch and release of American shad and striped bass in the Hudson River. Final report: 1999 project year. Submitted to NY State Department of Environmental Conservation, New Paltz, NY 12561. Eyler, S.M., J.E. Skjeveland, M.F. Mangold, and S.A. Welsh. 2000. Distribution of sturgeons in candidate open water dredged material placement sites in the Potomac River (1998-2000). Final Report. U.S. 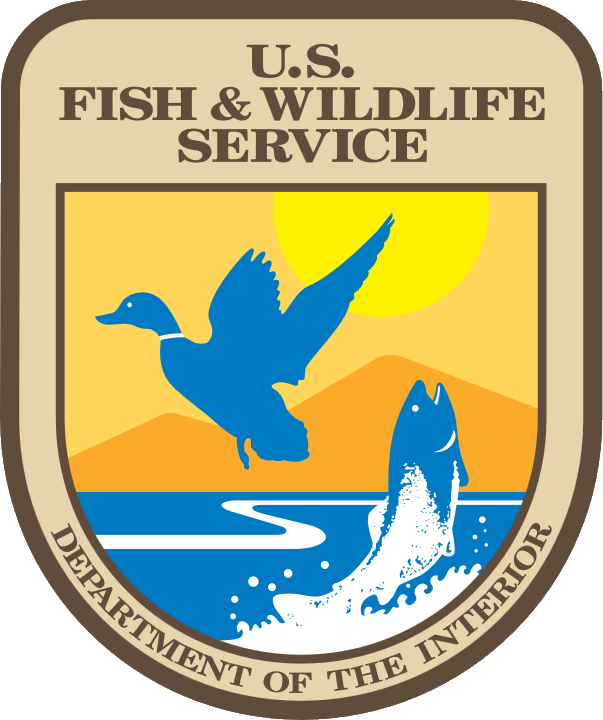 Fish and Wildlife Service, Maryland Fisheries Resource Office, Annapolis, MD, 21 November 2000. 26 pages. Skjeveland, J.E., S.A. Welsh, M.F. Mangold, S.M. Eyler, S.W. Nachbar. 2000. A report of investigations and research on Atlantic and shortnose sturgeon in Maryland waters of the Chesapeake Bay. U.S. Fish and Wildlife Service, Maryland Fisheries Resource Office, Annapolis, MD, 18 October 2000. 44 pages. Welsh, S.A. 2000. Annual tag-encounter rates and annual exploitation rates of Atlantic striped bass estimated from tag-recoveries: spring tagging programs (1987-1999). Report to the ASMFC Striped Bass Tagging Committee, Striped Bass Stock Assessment Committee, and Striped Bass Technical Committee, 25 August 2000. Welsh, S.A. 2000. Summary of data from the North Carolina Winter Trawl Survey (1988 -1999) of the USFWS Cooperative Tagging Program. Report to the ASMFC Striped Bass Tagging Committee, 15 August 2000. Welsh, S.A. 2000. Summary of data from the York River (1991-1999) of the USFWS Cooperative Tagging Program. Report to the ASMFC Striped Bass Tagging Committee, 25 August 2000. Welsh, S.A. 2000. Annual tag-encounter rates and annual exploitation rates of Atlantic striped bass estimated from tag-recoveries. Report to the ASMFC Striped Bass Tagging Committee, Striped Bass Stock Assessment Committee, and Striped Bass Technical Committee, 2 April 2000. Welsh, S.A. 2000. Length-frequency data of tagged cohorts from the Cooperative Striped Bass Tagging. Program Report to the ASMFC Striped Bass Tagging Committee, Striped Bass Stock Assessment Committee, and Striped Bass Technical Committee, 2 April 2000. Welsh, S.A., Skjeveland, J.E., M.F. Mangold. 2000. Progress report of investigations and research on Atlantic and shortnose sturgeon in Maryland waters of the Chesapeake Bay (1996-1998). U.S. Fish and Wildlife Service, Maryland Fisheries Resource Office, Annapolis, MD, 15 June 1999.